This fun, light hearted seasonal app is free and quite addictive! 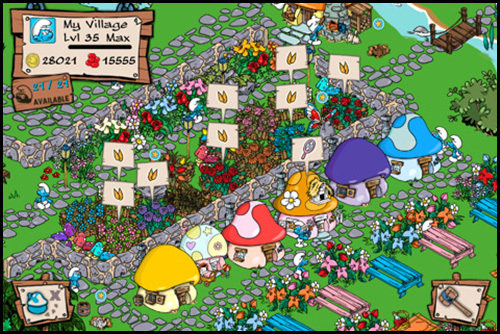 You build mushroom houses for you’re Smurfs to move into and then you create plots of land to grow crops. In growing these crops you get XP and golden coins. There are also challenges set to you by Papa Smurf where you get extra XP for completing. In levelling up you unlock certain features like houses, plants and much more. This is such a fun and addictive app, you will be immersed. « Xbox sells over Thanksgiving!